It’s possible you’ve never heard of Ravinder Singh. Till a month ago, I hadn’t either. It might surprise you, as it did me, to know that he is Penguin India’s topselling fiction writer, with combined sales across all titles exceeding half a million. According to Anand Padmanabhan, vice-president, sales, Penguin India, pre-orders for Singh’s latest book, Like It Happened Yesterday, released just this month, were upwards of 200,000 copies. Unsurprising, since his second, Can Love Happen Twice?, sold more than 250,000 copies in its first year of publication, becoming one of Penguin’s topselling titles, second only to APJ Abdul Kalam’s Ignited Minds. Singh’s first book, I Too Had A Love Story, was published in 2008 by a small Delhi press, Srishti Publications, and re-released in 2012 by Penguin. Five years after its publication, it is still among the most popular on Flipkart. 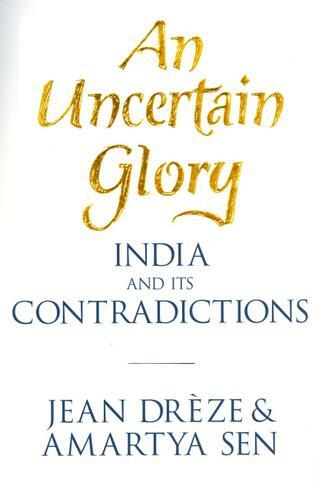 At a time when the public discourse is all about the falling GDP growth rate and India’s economic troubles, Professors Amartya Sen and Jean Dreze shake you up with their latest book, An Uncertain Glory — India and Its Contradictions. It is not the slowdown that is a worry — indeed, growth will return presently. The bigger concern for India today should be the continuing deep disparities in society that are only widening with every percentage point growth in GDP. India’s democracy, say the authors, has failed to rise to the challenges the country faces in the economic and social fields; and worse, it has been compromised by the extent and form of social inequality. Whether it is education, health care, female literacy, sanitation, or nutrition, India fares only marginally better than countries in sub-Saharan Africa. Chetan Bhagat: India’s Dan Brown or Charles Dickens? India’s literary establishment is abuzz about the recently published novel “The Mirror of Beauty,” a 984-page fictional account about the life and times of Wazir Khanam, the mother of the famed Urdu poet Daag Dehalvi, set mostly in Delhi and its environs during the 19th century. A beautiful and spirited woman, Wazir mingles with the noblemen of the Mughal court of Emperor Bahadur Shah Zafar, the English officers of the East India Company, the poets of the age and a whole panorama of other unforgettable characters. “The Mirror of Beauty” is a translation of the original 2006 Urdu-language novel “Ka’i Chand The Sar-e-Aasmaan” by its author, Shamsur Rahman Faruqi. 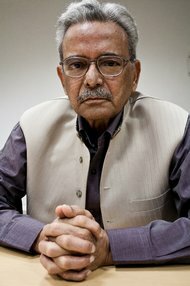 Mr. Faruqi, 78, who retired as a top bureaucrat in the Indian Postal Service, is a leading figure of Urdu literary criticism. He spoke to India Ink in Delhi about how he created the world of 19th century Delhi for “The Mirror of Beauty” and what he hopes young readers will get out of the book. You live in Allahabad, a relatively smaller city, and your work has mostly been read by those within the Urdu-speaking or academic world. Suddenly you have a celebrity author like Orhan Pamuk calling your book “an erudite, amazing historical novel.” What’s it been like to step into the global literary spotlight? I feel uncertain about all this. I am not sure that I really deserve all this attention, all this lionizing. I told my editor that I feel small, knowing that you guys are building me up so much, like a colossus. I am now long past those things. I have faced so much criticism in my life, from my own people, and also I have earned praise, love and appreciation. It makes no difference to me whether it is the global environment or the backwater of Allahabad. If Orhan Pamuk writes well about me, I’m happy; if he didn’t write well, I wouldn’t mind. 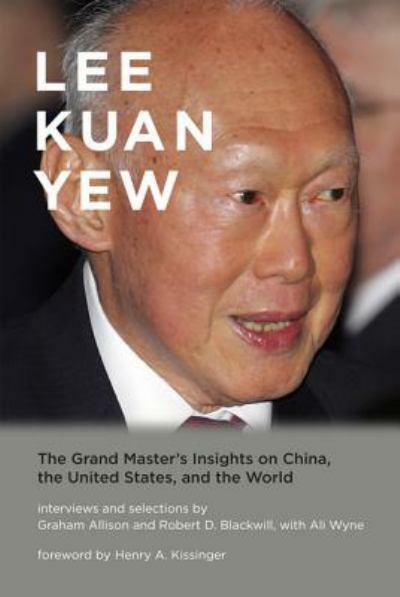 Of all the themes of the book (LEE KUAN YEW: THE GRAND MASTER’S INSIGHTS ON CHINA, THE UNITED STATES, AND THE WORLD BY GRAHAM ALLISON, ROBERT BLACKWILL AND ALI WYNE, MIT PRESS), the single most important, of course, is China, and its global equation with the United States. And who better to discuss that than Lee, who has been a mentor to Chinese leaders going back to Deng Xiao Ping, as well as to American presidents going back to Nixon. We can, he cautions us, expect to see China assert itself as the No. 1 power in Asia—and ultimately in the world. The Chinese have calculated that they need perhaps fifty years to build up their capabilities—economic, technological and military—and then make the ultimate transition from communism to the market system. Until then the dictum is, apparently, “Keep your head down, and smile for forty or fifty years”. But after that, perhaps circa 2060, the smile is likely to be switched off. China cannot forget its dominant historical position as the ‘Middle Kingdom’, to which lesser nations offered tribute, Lee explains, and a sense of reawakened destiny now drives them to reclaim that position. 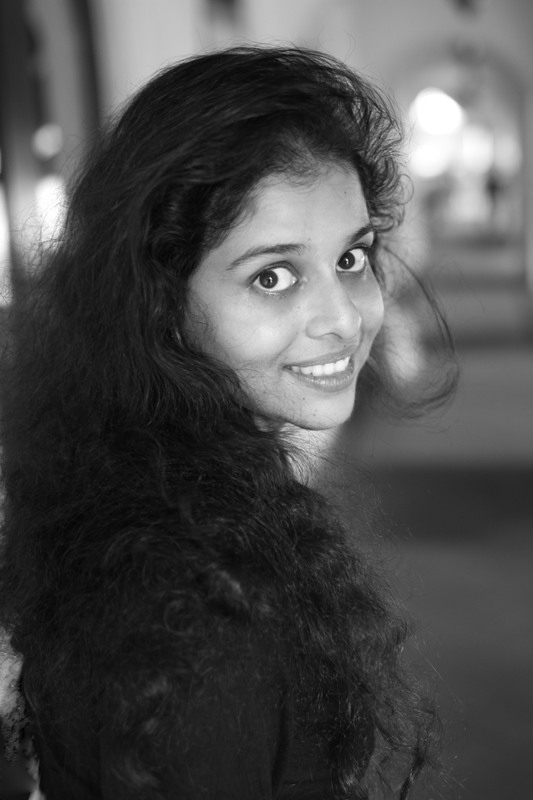 Krishna Udayasankar is a Singapore-based Indian writer and Govinda, Book 1 of the Aryavarta Chronicles (a trilogy) is her first published novel. According to her blog, The Aryavarta Chronicles are a series of fast-paced novels; tales of adventure, conspiracy and politics, that delve beyond familiar Epic India lore. Born in Bangalore, India, and educated in India and Singapore, Krishna currently teaches strategic management at Nanyang Technological University, Singapore. In this interview with Kitaab, she talks about her novel, her writing process and what writing means to her. ‘Govinda’ is your first novel and part of a trilogy. Did you have to struggle as a first time writer? Actually, the Aryavarta Chronicles is a series that extends beyond three books. Each novel, though set in the empire of Aryavarta, has its own story arc and plotlines. The process had its own challenges, though it was made easy, even enjoyable, because I have loved what I was doing! In my not-very-humble opinion, I think the biggest struggle a first-time writer faces is to reach a point of no-return, a point where you are committed to writing, come what may. Not that the struggles end after that, but then they are not very different from what every other writer faces, first-timer or otherwise. At the end of the day, the stories we tell are bigger than us and faith in those tales is never faith misplaced. At a more pragmatic level, there is a whole world of events that have to take place between writing a book and getting it published. However, I’ve been extremely fortunate, having had a whole host of people from wonderful agents to friends, mentors, my publishers and above all, my family, to support me. So it felt a whole lot easier than it probably was. Shashi Tharoor’s vanvas from South Block after he was forced to resign as minister of state for external affairs in April 2010 perhaps was a blessing in disguise. Had he remained an MEA insider, a book of the magnitude of Pax Indica would not have been possible. In terms of the ground it covers, Pax Indica promises to be a seminal work on Indian diplomacy. And Tharoor is uniquely placed to undertake such an exercise – being one of the few Indians having extensive experience in international relations and yet not being constricted by an Indian Foreign Service background. 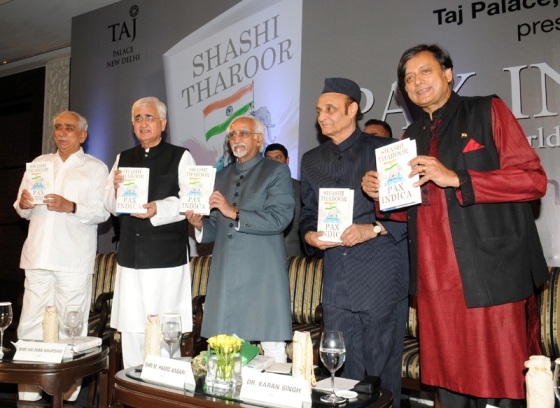 In the 400-odd pages, Tharoor covers almost every possible aspect of the foreign policy challenges before the country in the 21st century. In Churning the Earth: the Making of Global India, economist Aseem Shrivastava and ecologist Ashish Kothari interrogate what is unarguably the question of greatest consequence for our times: does contemporary globalisation, as a “definitive prescription not just for a certain arrangement of economic affairs, but for a way of life”, offer solutions to the impoverishment of billions of people, and for unborn generations and non-human species? This immensely significant and compelling book—one of the most important in recent years—maps painstakingly the political economy of both the socio-economic consequences and environmental impacts of the current growth path. The picture emerging from this densely argued treatise is bleak and harrowing—a picture of greed, inequality, suffering, and the reckless, irresponsible destruction of the planet’s resources.